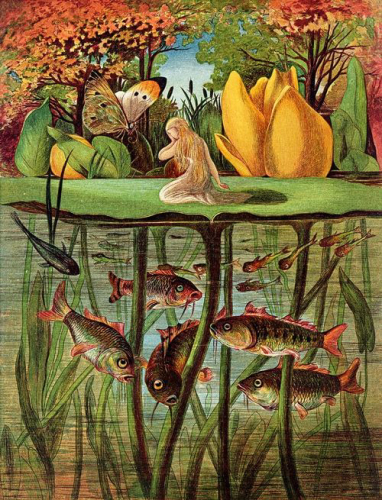 Thumbelina is a literary fairy tale by Hans Christian Andersen first published by C. A. Reitzel on 16 December 1835 in Copenhagen, Denmark with "The Naughty Boy" and "The Traveling Companion" in the second installment of Fairy Tales Told for Children. "Thumbelina" is about a tiny girl and her adventures with appearance- and marriage-minded toads, moles, and cockchafers. She successfully avoids their intentions before falling in love with a flower-fairy prince just her size. What lesson can be learned from Thumbelina's quest to find a place where she belongs?